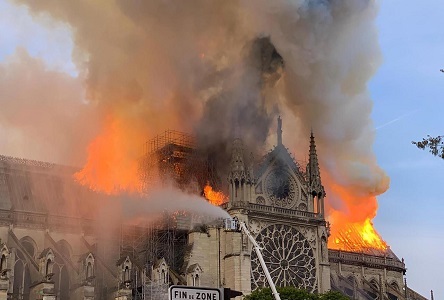 Notre-Dame de Paris (French meaning "Our Lady of Paris"), also known as Notre-Dame Cathedral or simply Notre-Dame, is a medieval Catholic cathedral on the Île de la Cité in the fourth arrondissement of Paris, France. The cathedral is considered to be one of the finest examples of French Gothic architecture. 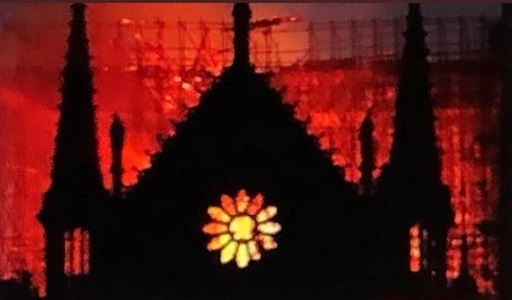 The innovative use of the rib vault and flying buttress, the enormous and colorful rose windows, and the naturalism and abundance of its sculptural decoration all set it apart from earlier Romanesque architecture. 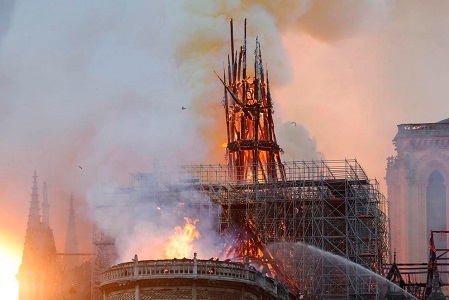 The cost of restoring Paris’ most visited landmark after centuries of damage is astronomical, but the French government has devised a surprising plan to raise the funds. 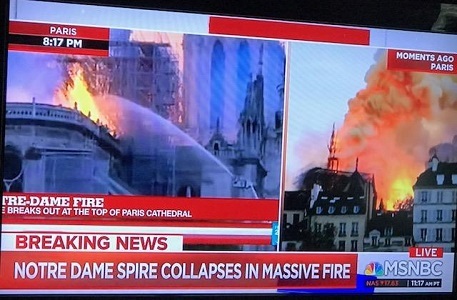 There hasn’t been this much of an impact on the architecture of Toobworld since the collapse of the World Trade Center in 2001. 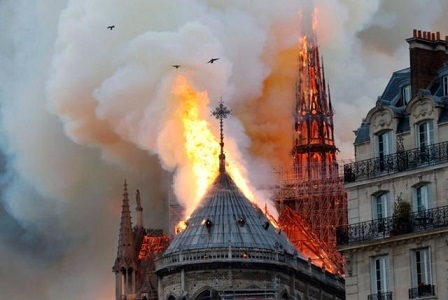 Of course, as historically powerful as the Cathedral of Notre Dame is, the Twin Towers was a worst disaster because of the tragic loss of human life. So far, hopefully, it looks like there have been no deaths. As of this writing, I haven’t heard anything about injuries either. The reason I’m posting this as a Tuesday News Day story is because of the Cathedral’s place in the greater TV Universe. Later today we’re going to conduct a memorial induction ceremony for the Television Crossover Hall of Fame to bring the Cathedral de Notre Dame into the fold, in memory of what once was. We did the same for the City of Las Vegas after the horrific massacre and for the World Trade Center after the Twin Towers were downed by terrorists. 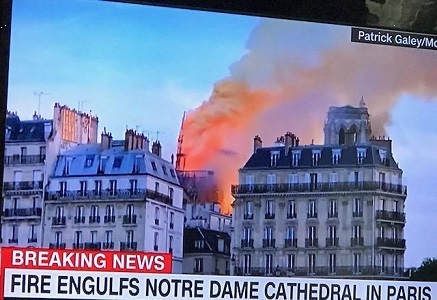 Notre Dame deserves no less…..